Elevate Customer Collaboration and Service. Increase customer service levels without increasing labor or costs. 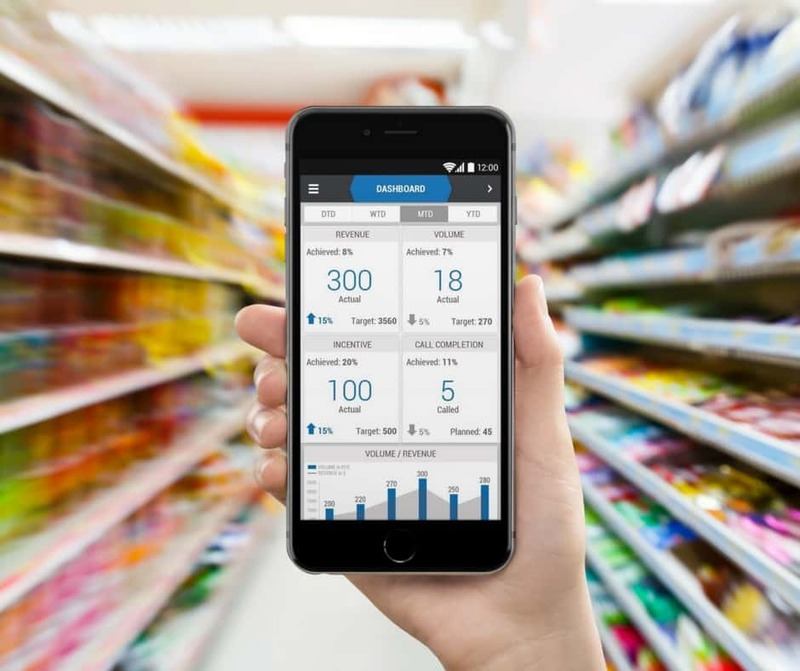 Shift the focus of store visits to selling in new products, promotions and displays. Gain time for new business development. With iCustomer, replenishment orders are fast and easy. 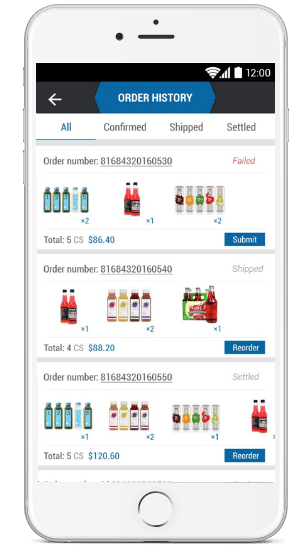 Your customers simply view Order History within iCustomer and tap the Reorder button. That’s it. The stores selling your product lines can manage consumer demand and prevent out-of-stocks with two clicks. iCustomer is available on all smartphones and operating systems. Your customers will have the same quality user experience using a Windows, iOS or Android device. 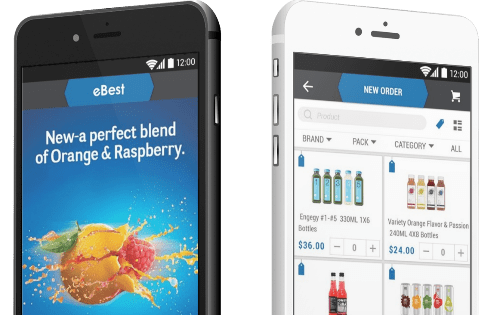 eBest Mobile delivers its clean UI and self-explanatory workflow directly to your retail customers. 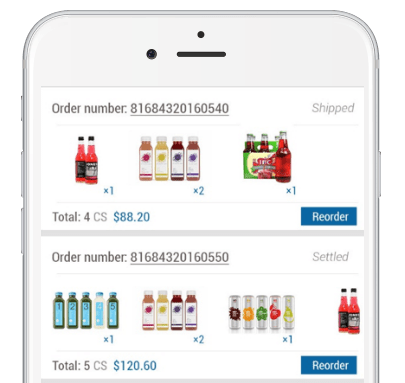 It only takes a few taps and 4 simple steps to place an order with iCustomer. Filter products by brand, pack size and category. View current pricing and available coupons or promotions. Select delivery date and store location. Review, submit and track order.